Slippery elm bark has been used as an herbal medicinal remedy in North America for hundreds of years. It works with the body to draw out impurities and toxins, assisting with the healing of all body parts. Historically, Native Americans used the herb topically for skin issues and internally for a variety of ailments. In fact, it was used to treat wounds on soldiers during the American Revolution. Slippery elm bark also contains antioxidants that help relieve inflammatory bowel conditions. This makes the bark an excellent herbal treatment for a variety of digestive conditions including Gastroesophageal Reflux Disease (GERD), Crohn’s Disease, ulcerative colitis, diarrhea, diverticulitis, and Irritable Bowel Syndrome (IBS). It is also believed that slippery elm bark may cause extra mucus production in the gastrointestinal tract, in which case it may also help protect your intestinal tract from ulcers. 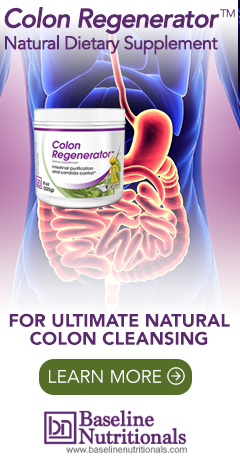 It is for these reasons you’ll find it as an ingredient in Jon Barron’s all natural Colon Regenerator formula. The key component of the bark is a substance called mucilage. When mixed with water, this substance becomes like a slick gel. This gel-like texture works to coat and soothe the mouth, throat, stomach, and intestines. The gel-like coating of slippery elm bark makes it helpful for various throat issues such as sore throats, bronchitis, colds, and other upper respiratory problems, which is why you’ll sometimes find it used in throat lozenges. The herb has topical health benefits as well. Native Americans used the bark to create topical treatments to help heal wounds, burns, psoriasis and other skin irritations. One study even found that slippery elm bark reduces the severity of symptoms of psoriasis. One study that analyzed eight herbs, including slippery elm, found that herbs predominantly containing phenolics may make good options for relieving stress and anxiety. As a key ingredient in the common herbal cancer treatment Essiac, it is believed to have anticancer properties. If not used as a cure, it is used to help improve quality of life, control negative side-effects of conventional breast-cancer treatment, and relieve pain associated with breast cancer. Native to North America, slippery elm bark can typically be found in a variety of forms, from tea to capsules, tablets, lozenges and even extracts. Slippery Elm is great for hiccups caused by indigestion, as well. I have used it for topical issues as well as multiple stomach issues. I use slippery elm bark powder mixed with raw organic cacao powder, honey, and bee pollen. Add water and stir into a tasty pudding. It's supplied me with good energy while backpacking, over the past 35 years. Why is Bee Pollen beneficial ?